JMI B.Com (H)/ BBA/ B.A. Economics (H) Admission 2018 result has been declared for all the candidates who appeared in the exam. The candidates can check the result of Jamia online from the link given below. JMI application process started from 2 February 2018 in Jamila Millia Islamia (JMI). 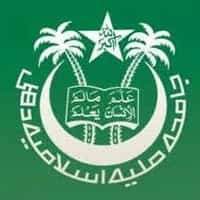 Jamia Millia Islamia for admission into 3 years B. Com (H) / BBA and B.A. (H) Economics programmes in Faculty of Social Sciences at Jamia Millia Islamia University. Jamia Millia Islamia has 5 Faculties & Departments under which it offers academic and extension programs. The student has to appear in only one exam for admission into any of the three programmes and the preference for the course has to be given at the time of filling JMI Application Form. Get here the complete details on JMI B.Com (H)/ BBA/ B.A. Economics (H) Admission 2018. Jamia Millia Islamia was founded in 1920 by a group of Nationalist Muslims. It conducts entrance tests for admission to Undergraduate, Postgraduate, M.Phil and PhD as well as Diploma and Certificate Programmes. Jamia Millia Islamia University is a Central University which offers Undergraduate and Post Graduate Courses in Science, Commerce, Arts for various programmes. B.A (Hons) Economics is being taught at Department of Economics under the Faculty of Social Sciences with 50 students enrolled every year. B.Com (Hons) and BBA are being taught at Department of Commerce and Business Administration under the Faculty of Social Sciences with 50 and 40 students enrolled every year. The Department of Economics is one of the oldest Departments under the Faculty of Social Sciences. The Department of Commerce and Business Administration was established in 1985. Age Limit: The age of the candidates should be 21 years as on July 1 of the year of admission. The candidates whose results for the qualifying examinations have not been declared can also apply. For B. Com (Hons): Candidate should have secured a minimum of 50% aggregate marks in the best five subjects or in the subject concerned. Minimum Qualifying Marks: For admission to Jamia Millia Islamia candidates must have passed Class 12 /Sr. Sec. School Certificate/ or equivalent in any discipline from a recognised Board. The application process for Jamia Millia Islamia B. Com (Hons)/ Bachelor of Business Administration and B.A (Hons) Economics 2018 has started. The candidates who are looking forward to pursuing B.Com (H) / BBA / B.A. Economics (H) from JMI are required to fill the application form by following the link given below. The candidates need to apply through online mode by following the link given on this page. The application fees can be paid Credit Cards/ Debit Cards/ Net Banking and also be using Cash Challans which is described below in detail. The candidates applying for JMI B. Com (Hons)/ Bachelor of Business Administration and B.A (Hons) Economics 2018 need to keep the following documents ready before filling the application form. The step by step guidance to fill the Jamia Millia Islamia B. Com (Hons)/ Bachelor of Business Administration and B.A (Hons) Economics 2018 are given below. The candidates are advised to follow the steps to fill the JMI Application form. STEP 2: After successful registration, the candidates will receive a confirmation email containing an activation link on their registered email id. The candidates need to click on the confirmation link. Therefore, they will be redirected to the page of form filling. STEP 3: In this section, the candidates need to fill the application form by filling all the relevant details in every section of the form in the given format. STEP 4: After filling the application form, the candidates need to make the payment of the fees and have to submit the form. After submitting the form, the candidates need to print the application form. JMI B. Com (H)/ BBA/ B.A Economics (H) Admit Card will be available only for those eligible candidates who have submitted their duly filled application forms before the due date. It is to be noticed that the admit card will not be dispatched through the post to the candidates, so no correspondence in this regard will be entertained. Jamia Millia Islamia B. Com (Hons)/ Bachelor of Business Administration and B.A (Hons) Economics Exam & Application Fees is Rs. 700. 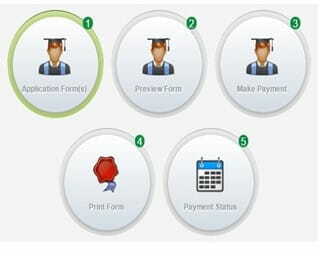 The application fee can be paid through both online or offline mode. The details to make the payment of the fee is given on this page. JMI may display additional lists of candidates selected from the waiting list in order of merit as per the University procedure. Mode of Exam- Pen and Paper Mode. The candidates appearing in the entrance exam have to mark the answer with Black/Blue Ball Pen Only. There are total 7 exam centres available for the entrance exams conducted by the Jamia Millia Islamia University for the admission in B. Com (Hons)/ Bachelor of Business Administration and B.A (Hons) Economics and other courses offered by JMI. There are total 5 centres for the Jamia Millia Islamia entrance test. The names of the centres are given in the table below. The candidates are required to see the table.